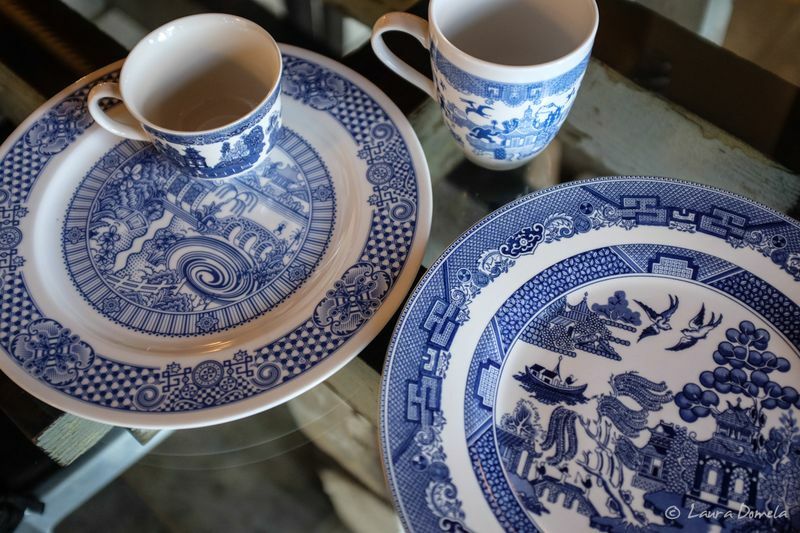 The dinnerware we have on Airship is the blue Willow pattern. 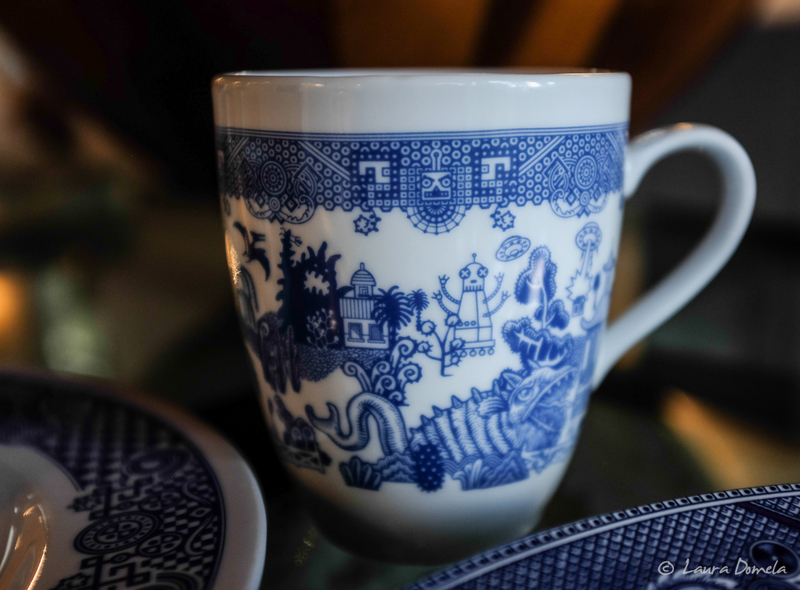 There was something that really appealed to me about this traditional, blue and white pattern when we were outfitting the boat. At some point a couple years ago, I became aware of artist Don Moyer. 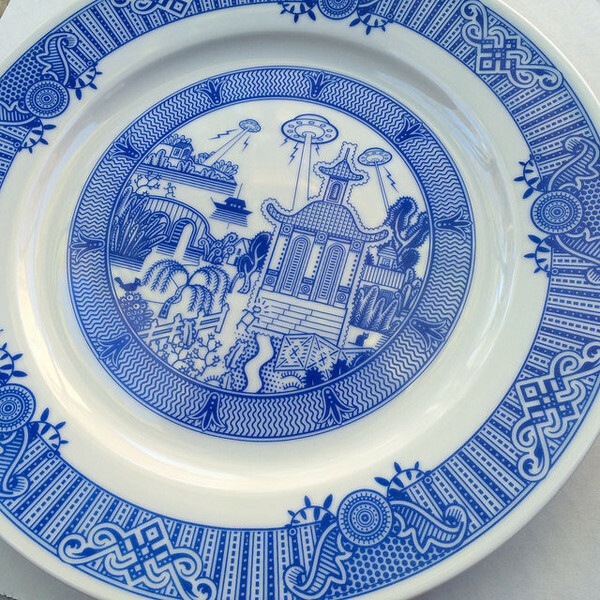 Don was just starting to design a series of plates based on the Willow design. 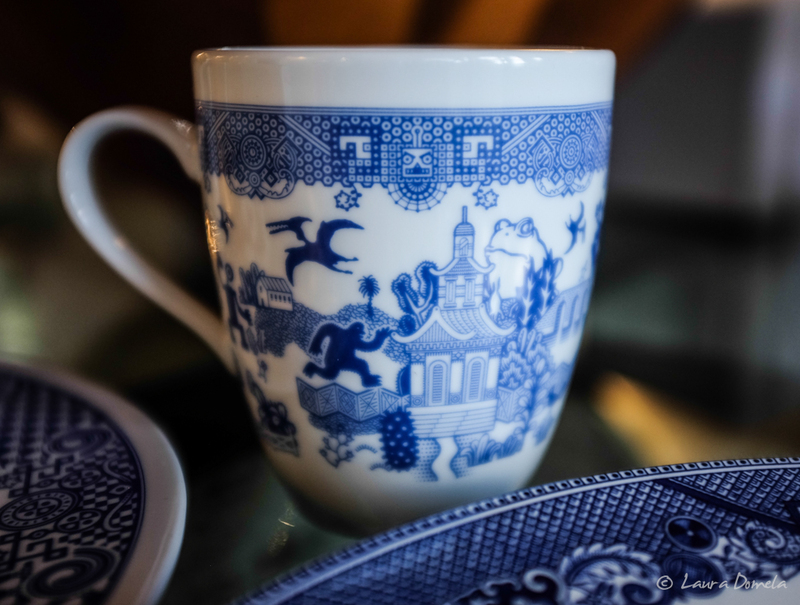 He called his dinnerware Calamityware. It was dark and funny, and we loved it. 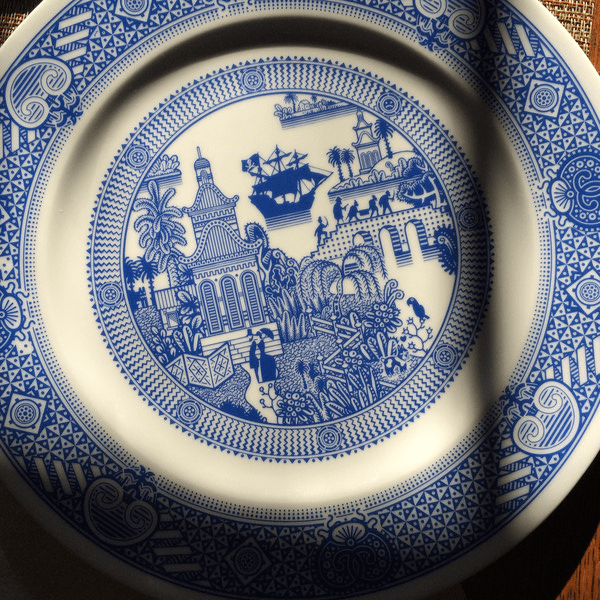 He began with a Kickstarter project, plate by plate. 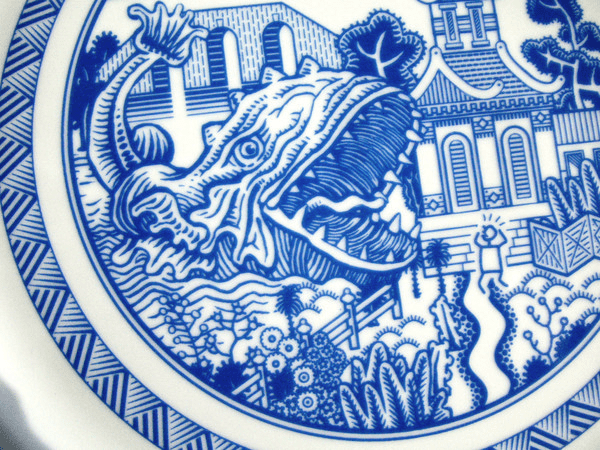 His first four plates were 1/Flying Monkeys, 2/Giant Robot, 3/Voracious Sea Monster, and 4/UFO Invasion. 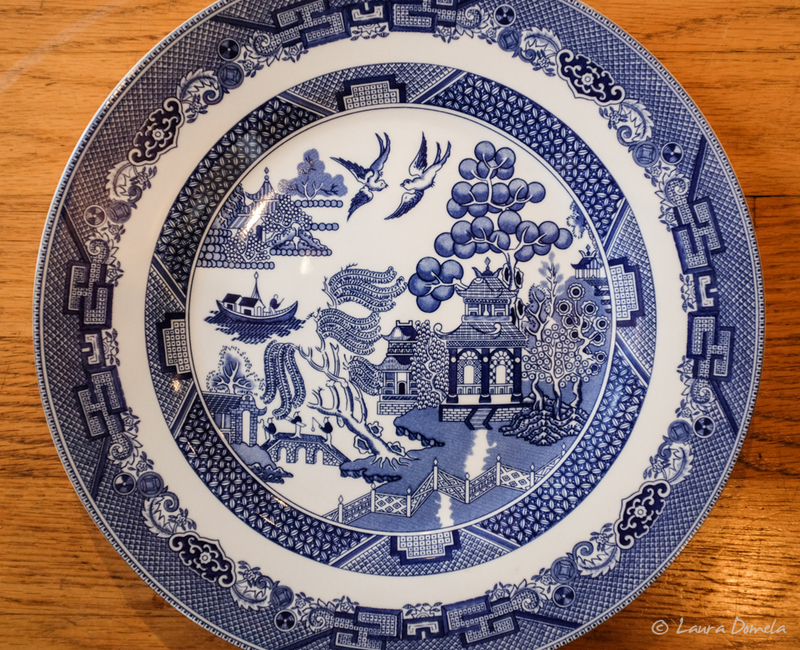 Word spread and Don and his crazy plates gained popularity, and so another set of four was born. The next set was called 5/Pirates in the Neighborhood, 6/Rambunctious Volcano, 7/Tentacles! and 8/the Vortex of Doom. 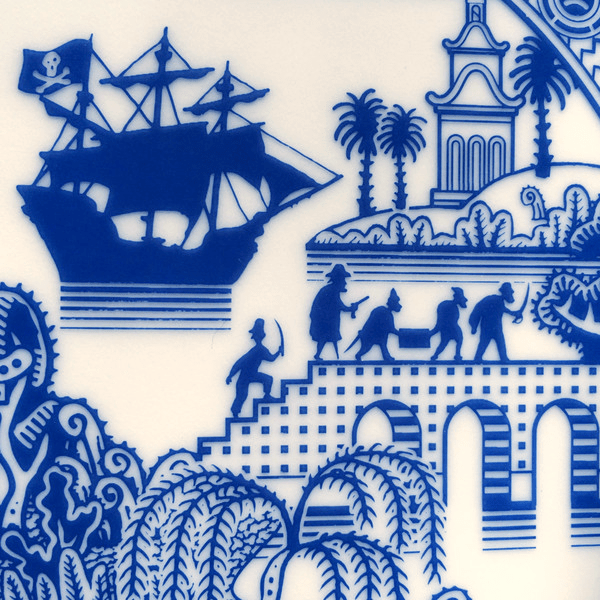 The Calamityware is a bit bluer and a bit lighter than the Willow, but it all goes quite nicely together. Next Post We’re Back in the Islands!